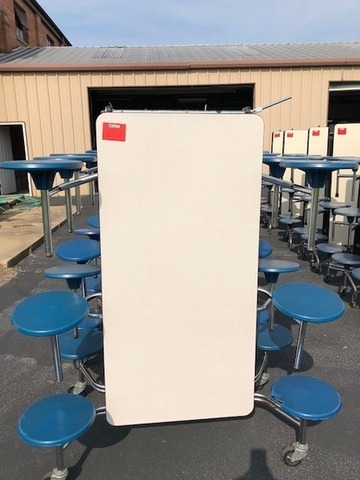 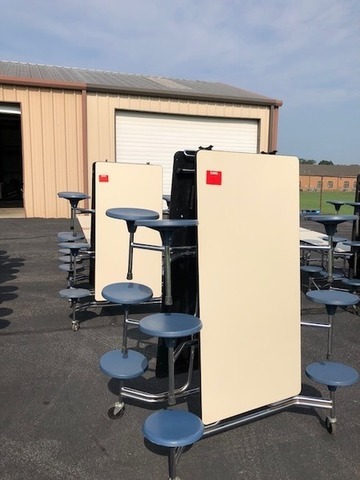 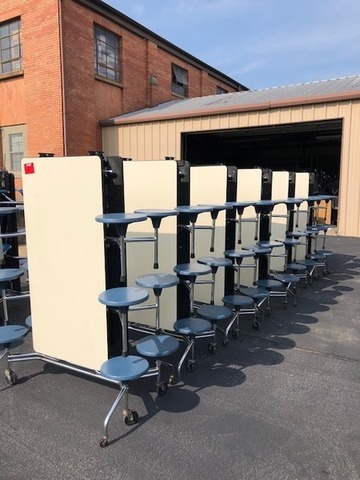 Searcy Schools has asked that we sell some of their surplus Mobile Stool Tables that are no longer in use. 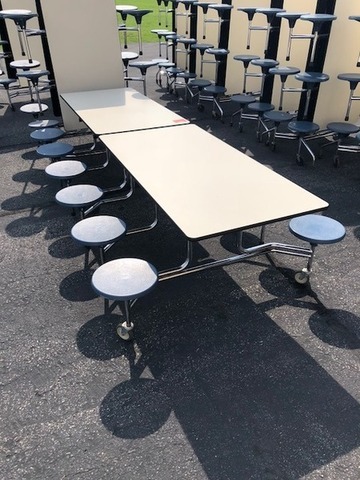 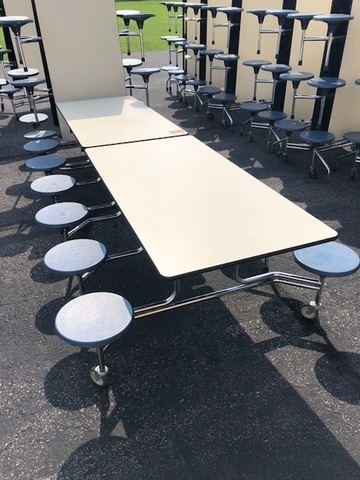 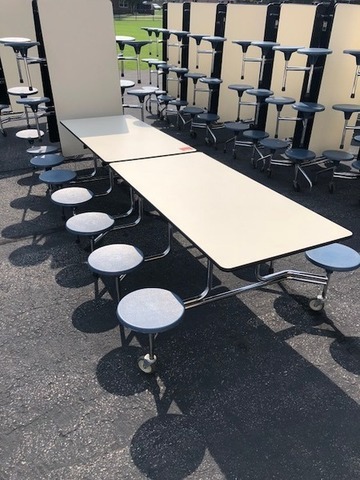 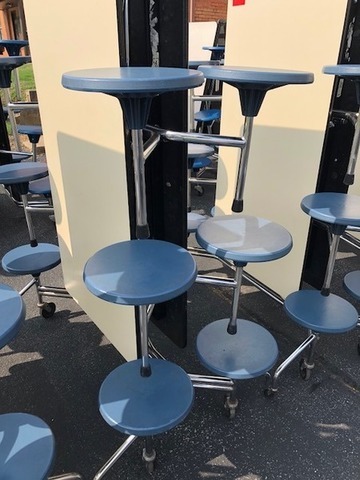 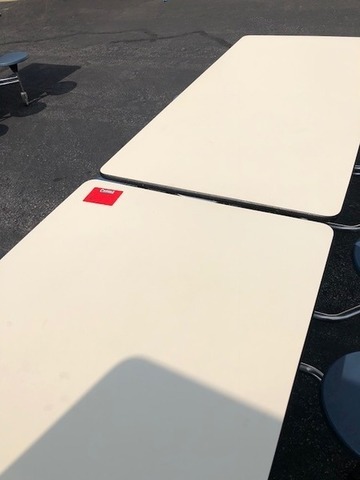 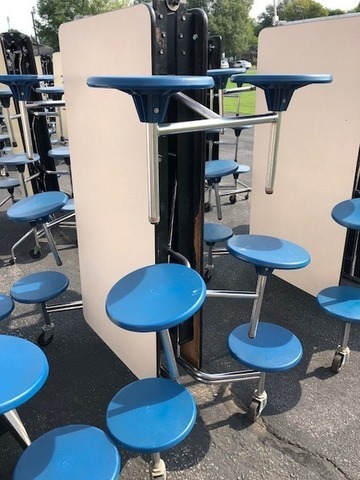 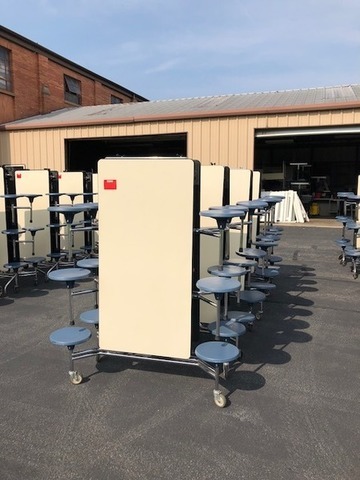 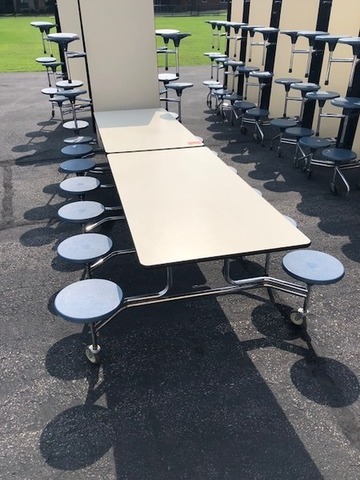 These folding cafeteria dining tables with built-in stools are still in working order and could be put back to use in your operation! 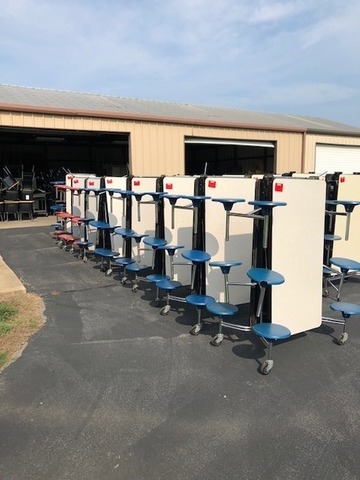 Searcy Schools has asked that we sell some of their surplus Mobile Stool Tables that are no longer in use. 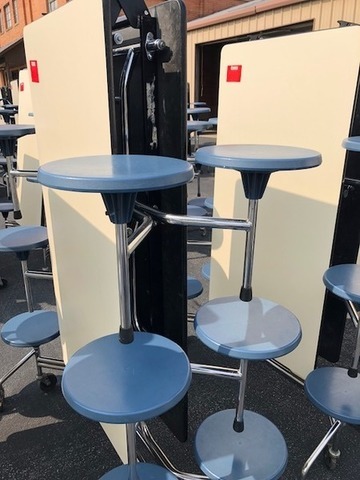 These are folding cafeteria dining tables with built-in stools. 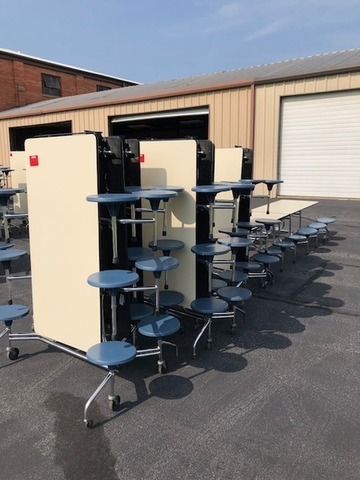 They are still in working order and could be put back to use in your operation! 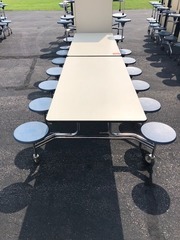 These tables sell for $1,340.00 a piece brand new! 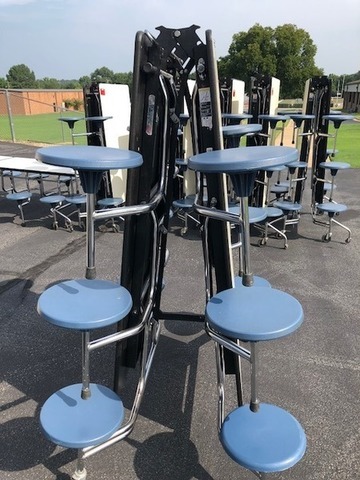 Contact Rodger at (501)278-7653 to set up a preview time. 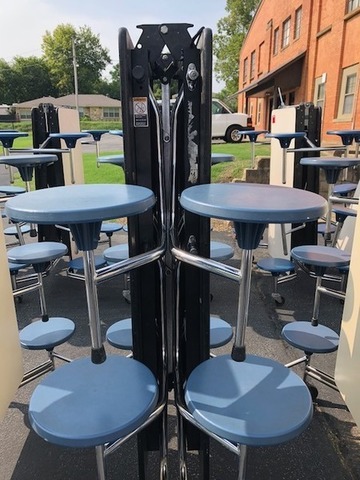 Simply click the link for online bidding to view a full auction catalog with item descriptions & photographs. A 10% Buyer’s Premium will be added to all purchased lots. Check, cash, or Visa/Mastercard accepted as payment upon pick up. 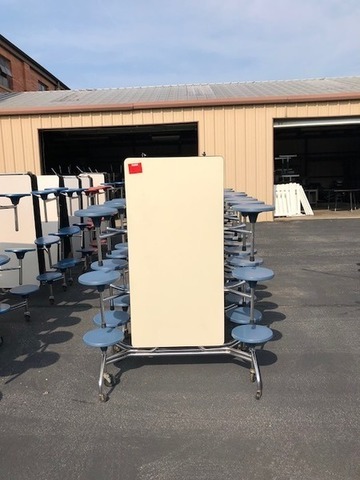 3% charge on all credit card purchases. 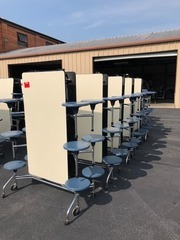 Must pay at local pick up on Friday, September 14th, from 3PM to 6PM. 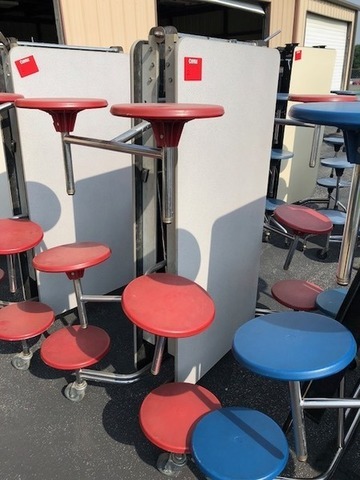 Items can be previewed by appointment only. 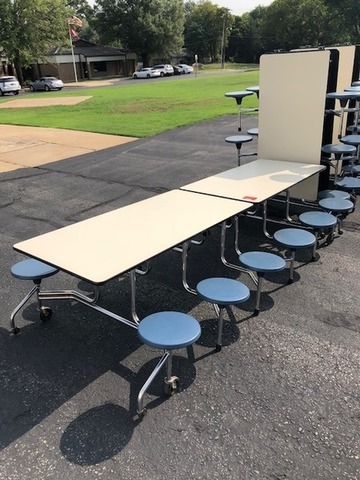 Contact Rodger @ (501)278-7653. 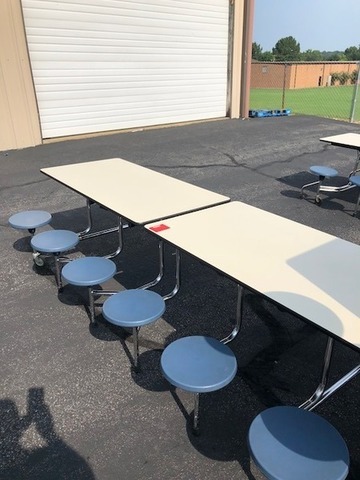 Items are located at the school maintenance building at 510 W. Moore, Searcy, AR.